‘Diseurs de Bonne Aventure’ is the cartomantic union of ‘La Diseuse’ and ‘Le Diseur’, joining forces to bring classic cartomancy back to life. The aim of this project is to provide novice and advanced card readers all over the world with an interactive platform for the study and practice of old school cartomancy. The information that you will find on this blog is entirely based on authentic teachings derived from extensive field research with older generations of traditional cartomancers. An intangible heritage of considerable value. 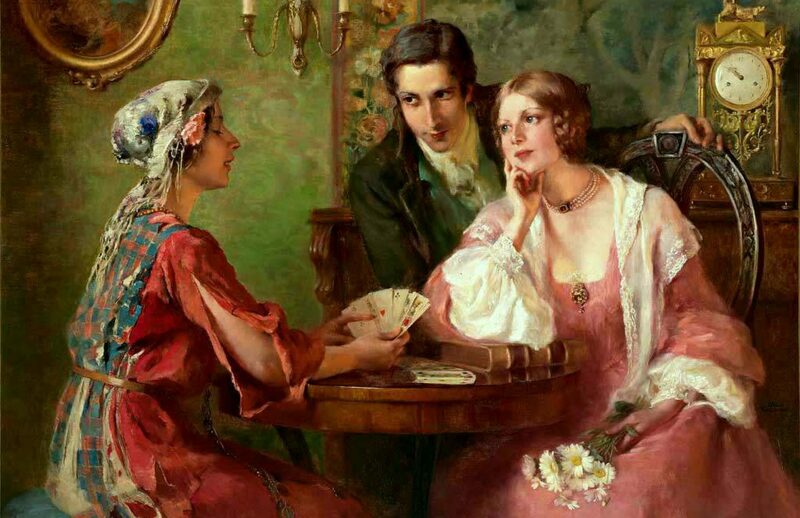 We will cover a myriad of cartomantic systems such as Playing Cards, Petit Lenormand, Grand & Petit Etteilla, Tarot de Marseille, Le Petit Cartomancien and much more. Apart from the knowledge and folklore of traditional cartomancy we are also passionate about ‘the process’ and consider it our mission to shed some more light on this forgotten but essential aspect of the art. We hope you enjoy this journey as much as we do and look forward to interacting with you. Don’t forget to subscribe! Card reader, cartomancy teacher, blogger and author of the Petit Lenormand Encyclopedia. Card reader, cartomancy teacher and blogger. of This is an example of an about page. Unlike posts, pages are better suited for more timeless content that you want to be easily accessible, like your About or Contact information. Click the Edit link to make changes to this page or add another page.